LIVING IN ONE of the driest states in the nation has its challenges for Utah residents, wildlife included. 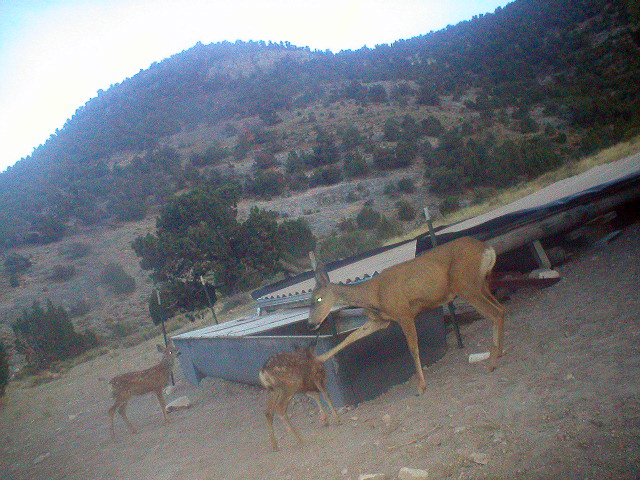 For many years now, the Utah Division of Wildlife Resources (UDWR) — along with other agencies and groups — have been developing water sources for wildlife across the Western states. We used a helicopter to transport the several thousand pounds of materials needed for the Book Cliffs guzzlers. Throughout the summer UDWR’s Northeastern Regional habitat crew has been busy constructing wildlife guzzlers used to supply additional water sources for local wildlife. A guzzler is a system designed to catch and store rain and snow for wildlife to drink while minimizing evaporation. According to Miles Hanberg, UDWR habitat manager, the tanks used for the project have a 1,500-gallon capacity and a surface area capable of catching 3,000 gallons per year, based on 12 inches of annual precipitation. Earlier this summer, I helped the habitat crew with one of the 20 plus wildlife guzzlers constructed in the Northeastern Region this year. The project took me to the road-less area of the Book Cliffs, located in Grand County. The construction sites were far from any roads and could only be accessed by foot, horseback or from the air. 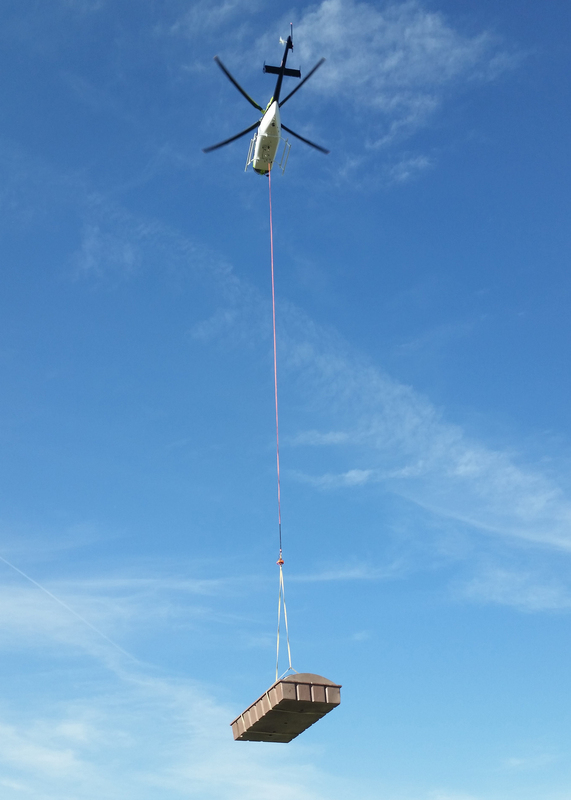 Since neither mule nor man is capable of transporting several thousand pounds of materials over steep and rugged terrain, we used a helicopter for the heavy lifting. Construction crews accessed the guzzler sites on horseback, constructed the guzzlers then packed all tools and equipment out with horses and mules. In an effort to complete each of the three guzzlers designated for the area, work crews were dispatched to each location on horseback. 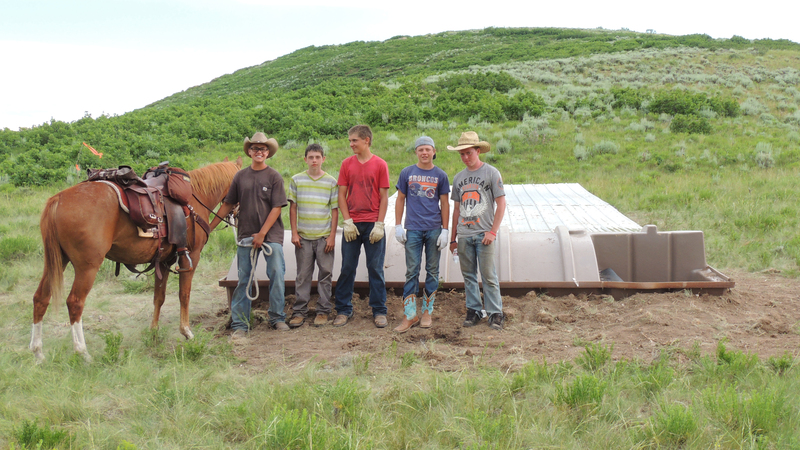 I was fortunate enough to work with a crew made up entirely of volunteers from BSA troop 269, Altamont, Utah. The crew consisted of five boys and two leaders from the Altamont area. It was a great opportunity to get these boys out into the Book Cliffs to create a useful resource for Utah’s wildlife. It was also rewarding to work alongside them and see their enthusiasm and hard work. The guzzlers have begun collecting water from summer rains to provide the much needed resource to wildlife in this dry area. The use of guzzlers provides water to all types of wildlife in areas where water sources are few and far between. One of the great benefits of this is the ability to attract animals to areas with abundant forage and little natural water, resulting in better wildlife distribution across the landscape. Many thanks are in order for the hardworking guys from the UDWR, Classic Helicopters and the volunteer crew from Altamont. You all made this project a success. << (Previous) Kokanee: to release or to keep? Thanks for all the hard work guys. Guzzlers do wonders for all wildlife. Keep them coming. This will enable to save at least one wildlife which would be a great thing. Great work Alex.